Cartils has partnered with Pernod Ricard France to successfully launch the first product innovation for Clan Campbell Whisky in over 20 years. Blended with whisky aged in barrels that previously held rum, Clan Campbell Dark embodies caribbean heartland and scotch whisky heritage. The Cartils design team relish an opportunity to engage consumers through story-telling when creating alcohol brands so initial design concepts explored narrative designs that reflected the meeting of traditional Clan Campbell Blended Scotch Whisky, brotherhood and the innovative rum barrel ageing.It was imperative that the packaging design would express the values of Clan Campbell, feel familiar to the target audience and appeal to the adventurer within. Using a brown bottle instead of the traditional green the product difference is immediate and influenced a richer, warmer colour palette for the label design. Barrel construction inspired the gold band across the label highlighting product differentiation and the Clan Campbell brand elements have been adapted to reflect the new product but retain the brand recognition. 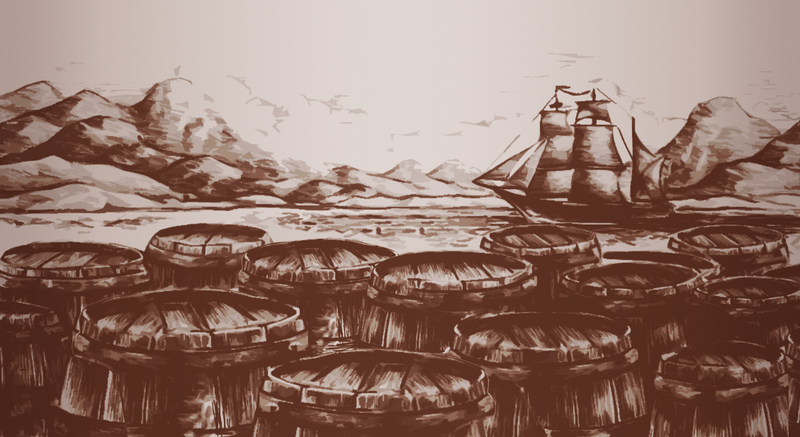 The product narrative is brought to life with an island landscape and tall ship by in-house illustrator Andy. An engaging national campaign has captured imaginations and with Clan Campbell Dark exceeding the expectations of the Pernod Ricard team it seems consumers have a taste for adventure.